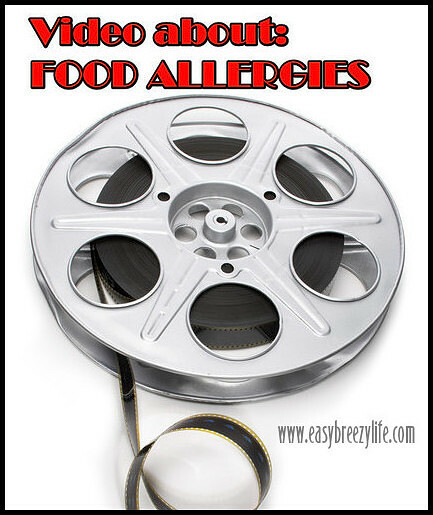 Do you have people in your life that just don’t understand the seriousness of food allergies? Do you want people that are close to you and your child to have a better understanding of life-threatening allergies? Have you or your child just been diagnosed with food allergies? If you said yes to any of these questions, then this documentary is for you! Grab a snack, a comfy blanket, and take the time to watch this important video. It is perfect for showing family, friends, care providers, teachers, and anyone else close to you and/or your child living with food allergies. FARE has teamed up with The Discovery Channel to provide us with this latest documentary about Food Allergies. “An Emerging Epidemic: Food Allergies In America” is an hour-long documentary, narrated by Steve Carrel, that gives viewers a sneak peek into the lives of people living with life-threatening food allergies. The documentary was made possible by an educational grant from FARE and Mylan Specialty L.P., makers of EpiPen®. An Emerging Epidemic: Food Allergies in America from Discovery Channel CME on Vimeo. Help raise awareness and share this video with others! What in Anaphylaxis and Epinephrine? Get Up To $100 off your next EpiPen®!